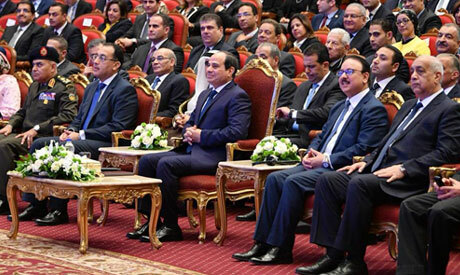 Egypt's President Abdel-Fattah El-Sisi inaugurated on Sunday in Cairo the annual Information and Communication Technology (ICT) Conference, where Egypt’s new e-Visa service was launched. The online e-Visa system will serve visitors looking to travel to Egypt from any of 43 countries, including the United States, Canada, the UK, France and Cyprus. The eVisa is an electronic travel authorisation that is stored electronically and is linked to a passport number. Applications for the e-Visa are done online. El-Sisi also inaugurated through video conference the new technological zones in Beni Suef, Menoufiya and Assiut governorates. During the inauguration, telecommunication and information technology minister Yasser El-Kady presented to President El-Sisi the first Egyptian-made mobile phone as a gift. Manufactured in the technological zone in New Assuit City, the Sico Smartphone is the first mobile phone to be manufactured in Egypt, with 58 percent of its components manufactured locally, according to Minister El-Kady. The Android Smartphone is manufactured by Sico Technology, which is a subsidiary of El-Siyad Salem Group. The company is set to launch eight models of the Smartphone locally as well as in African and Arab markets. The ICT conference, which has been held annually for the past 20 years, is Egypt's largest conference for information technology. According to its organisers, at least 500 Arab and international companies in the IT field have participated in the conference, attracting millions of visitors throughout the years.